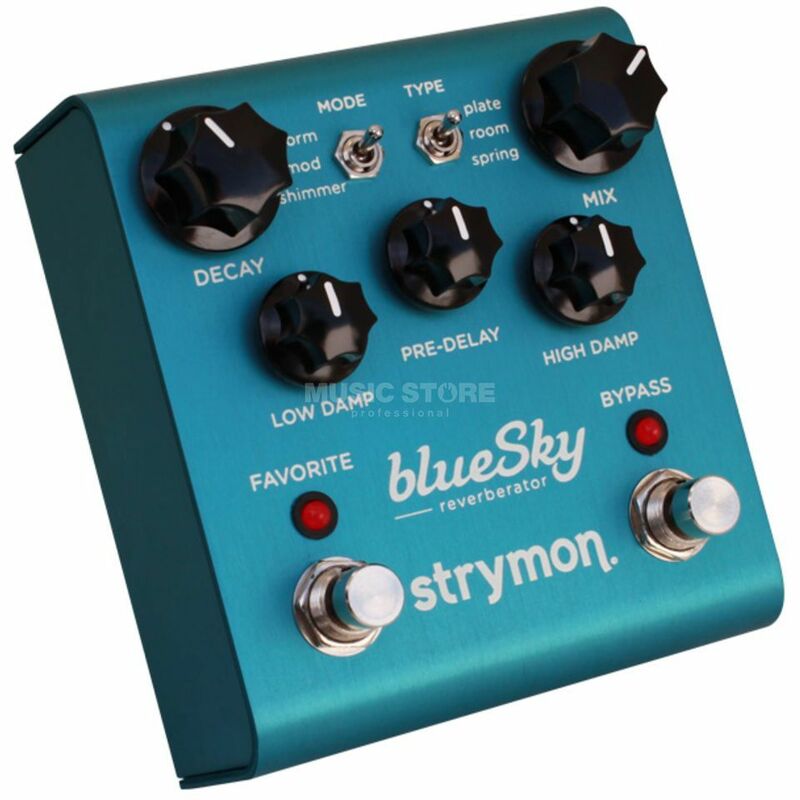 The Strymon blueSky reverb pedal features a super powerful SHARC DSP (digital signal processor), its sole purpose: to produce the best reverb known to man. Since the entire DSP of the Strymon blueSky is dedicated only to doing powerful reverbs, the effect it produces is lush and beautiful. Whether you’re a classic spring reverb fan or more of a studio rack aficionado, you’ll find your mojo with the Strymon blueSky reverb. The Strymon blueSky would be equally at home on top of a mixer or in front of a tube amp. The blueSky even includes a high quality plate reverb, unusual in guitar pedal form, but extremely useful and unique sounding. A full pre-delay and damping section provide deep reverb tone shaping. Add to that mod and shimmer modes and the Strymon blueSky will provide you with unending fun and rich, beautiful tone.